Sinon quelques changements au niveau du check out, tout a été parfait tant au niveau de l'appartement qu'à celui de la visite de la Rome Antique guidée par Madame Paola Rubino. I loved the place! I traveled with my wife and kids and the space was awesome! Sunny and fresh apartment! The elevator is a good thing! Localization excelent! It would be better if you had another air conditionair in the other bedroom! But this is not a problem! I realy recommend!!!! Our apartment was excellent in every way possible. Location was fantastic and apartment was well equipped and incredibly clean. We'd highly recommend this apartment to others and we thank your staff for their outstanding service. We had a great trip to Rome. We are a family of five - two adults and three kids aged 14, 13 and 10. The place and llocation were PERFECT! We had one issue with hot water, but it was promptly addressed and we had no other issues. We would absolutely stay here again (or at another Romeloft place!). Thanks so much! 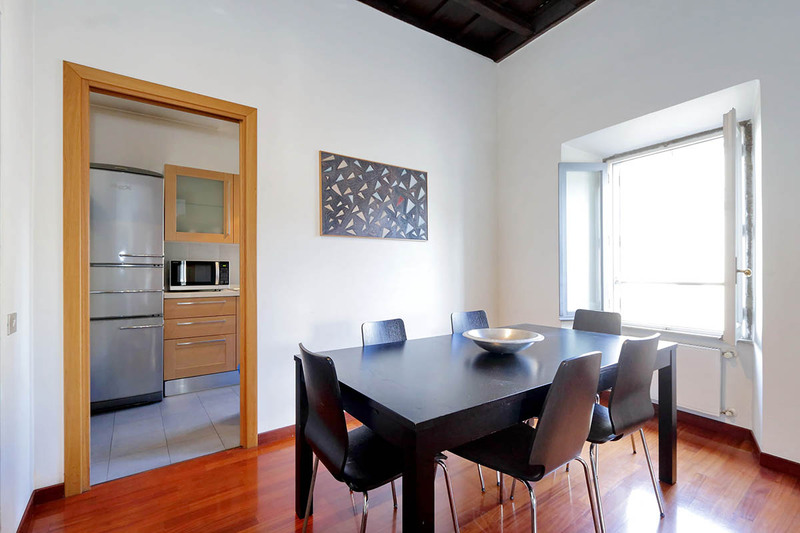 The apartment is a perfect oasis within walking distance of many of the sites of Rome. Quiet & high quality, it gives you a taste of being a local. With two bedrooms and two bathrooms, it was perfect for our family of three. Camp di Fiorio market was close by as well as many excellent cafes & bakeries & restaurants. 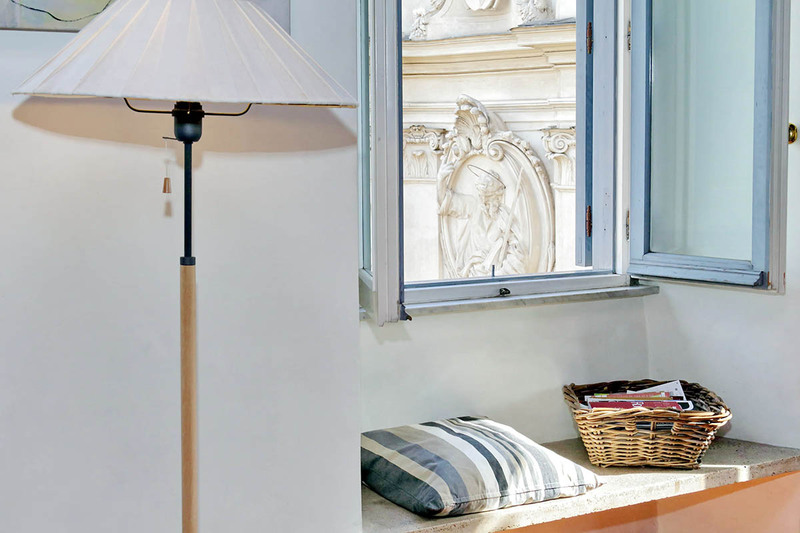 Nous conseillons cet appartement et l'équipe Rome Loft, très sérieuse. Extraordinary apartment and location. Thanks. 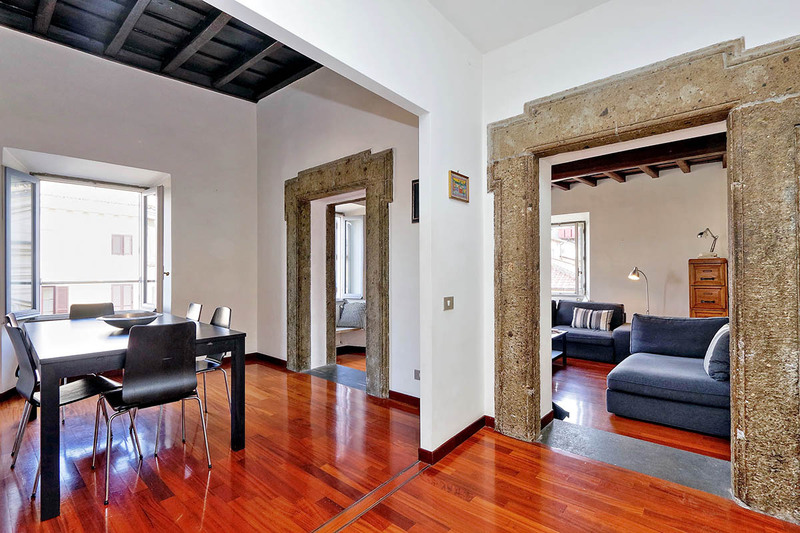 The central location of this apartment makes it a fabulous choice for discovering the wonderful sights of the historical center. In addition to this, the peacefulness and tranquility of the street make this property a top choice. The building in which you find the apartment was once a convent, as you can detect from the details in the beautiful stone doorposts. 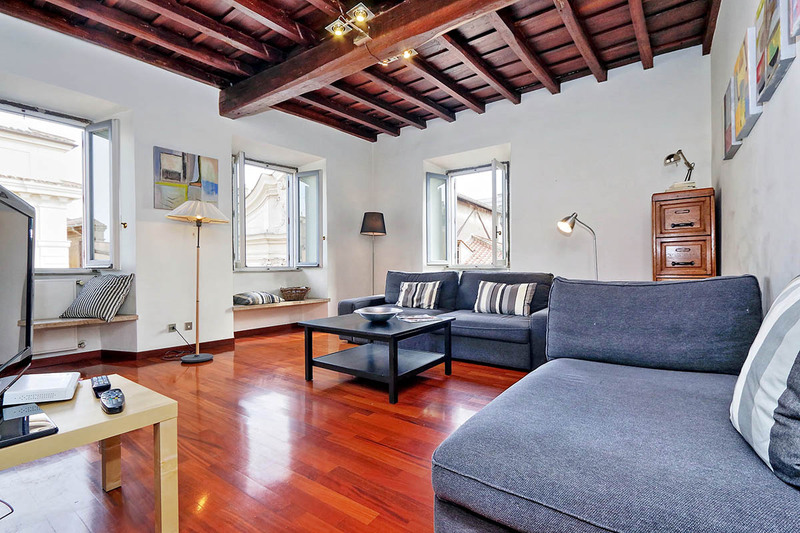 Parquet floor and high wooden ceilings give a warm touch to this roomy and well-lit apartment. The living room features several windows with a lovely view of the surrounding neighborhood, a book collection, a large sofa, a dormeuse, a reading table, and a 40″ Satellite TV with a DVD player. You will also have Wi-Fi Internet access throughout the apartment. The sofa turns into a comfortable sofa bed. You will find the dining area right between the living room and the kitchen. This comes complete with a large table and chairs. The kitchen is spacious and well equipped with a gas stove, an oven, a fridge, a freezer, a dishwasher, and a toaster. On the upper level, you will find a washing machine, an iron and an ironing board. The master bedroom, located on the lower level, features a king size bed, nights tables, lamps, and several closets. The second bedroom, on the upper level, also has a king size bed. Here, you will find the only air conditioning. 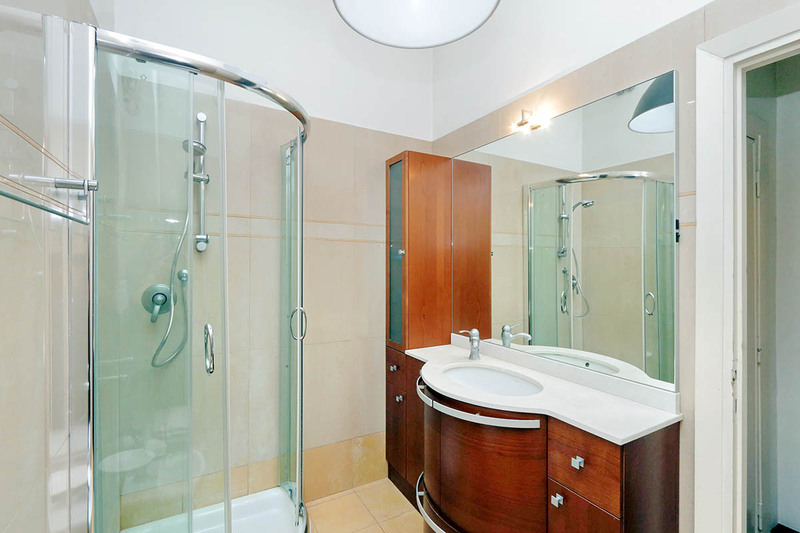 Finally, the two elegant bathrooms, one with a shower, the other with a bathtub with a shower head, complete this Farnese elegant apartment. 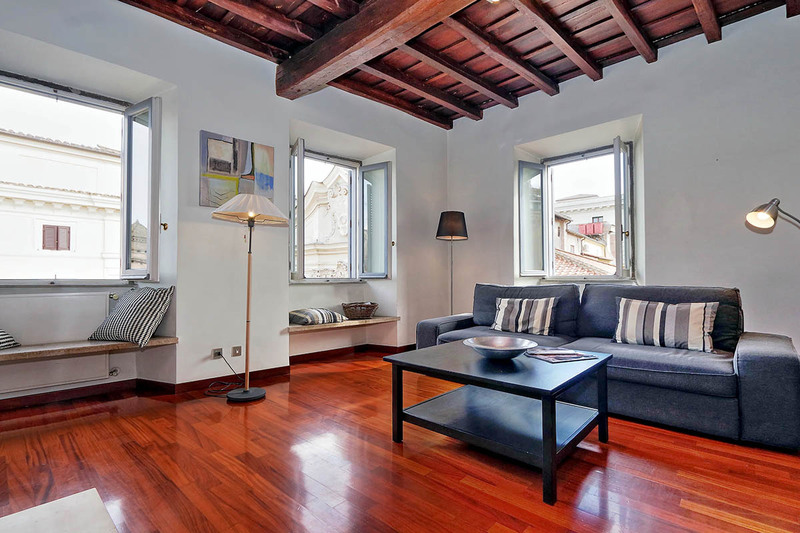 The overall style of this apartment is very Italian, with elegantly styled facilities. You can also enjoy views onto the quaint streets of the historical center below. 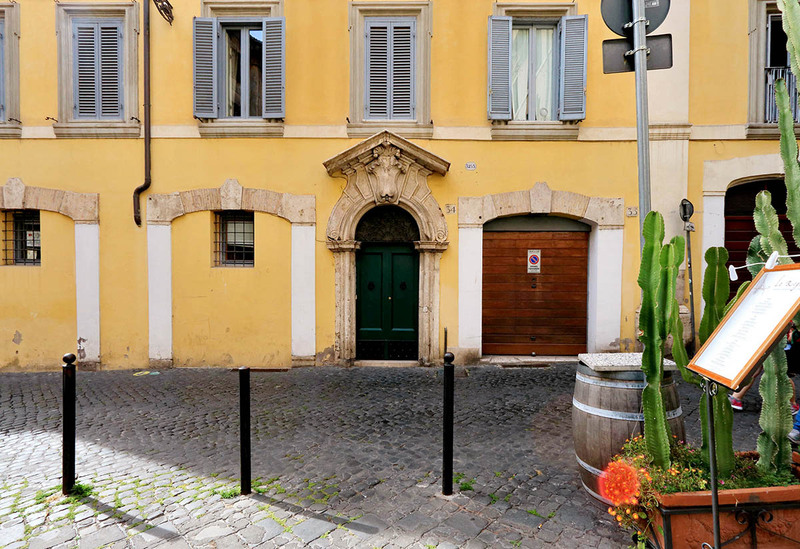 The Farnese area is perfect for anyone wanting to be incredibly central and yet also benefit from a quiet street. This is just a few minutes’ walk from the lively Campo de’ Fiori on one side, and Trastevere on the other. These are perhaps two of the most lively places come evening, however the Farnese area remains peacefully quiet throughout. 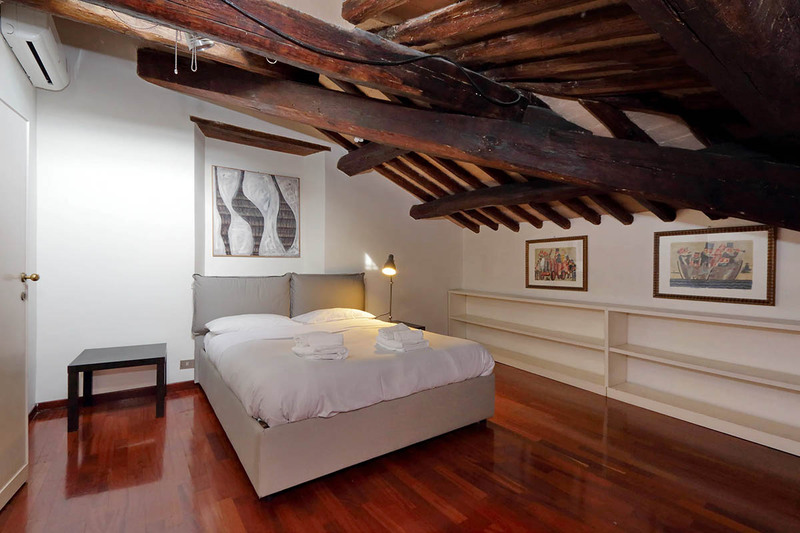 In addition to this, you will have easy access to the Vatican, the Piazza Navona, and the Pantheon. Just a little further away you will find the Piazza Venezia, the Trevi Fountain, the Spanish Steps, and the Piazza del Popolo. The latter backs onto the delightful Villa Borghese park, which is an oasis of green amongst the city, and offers great views from its Pincio Terrace. We highly recommend staying within the area and its surroundings in the evenings. The Campo, Navona, and Trastevere areas have many charming bars and restaurants. They are very popular with locals and tourists alike, making for a welcoming atmosphere. Rome in January is not the most obvious time to visit, but was when we needed a break. The flat was spacious and comfortable, and the pictures do represent what you get. We chose a bigger appartment than we really needed, as we knew we'd be spending time in the flat, and we wanted to be comofrtable and have space to spread. The location is ...Read Moreexcellent. Really easy to get about to all the major sites, and very convenient for the bus routes around town. Being close to Campo Fioro and Piazza Navona also meant that we were close to food shops and good restaurants. The flat was clean, well equipped, warm (important in january!) and comfortable. It ticked all our boxes. 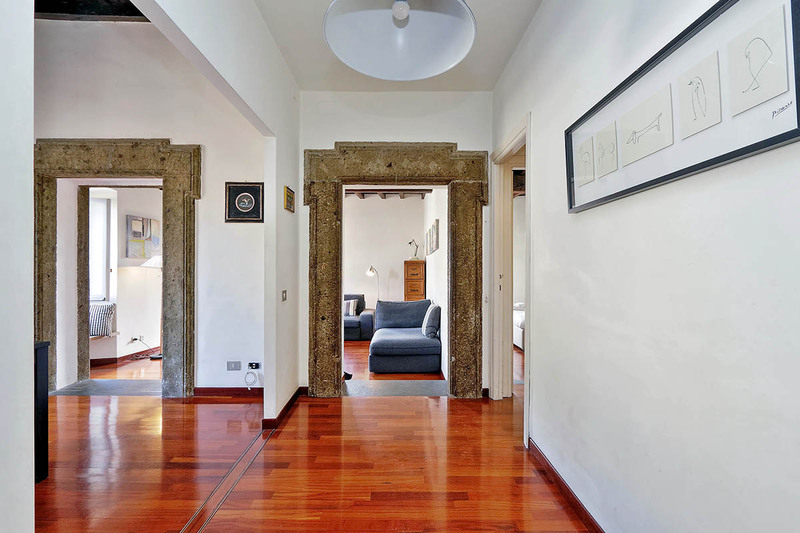 We recently enjoyed a stay at the beautiful Farnese apartment for 5 days after Christmas, leaving just after New Year. 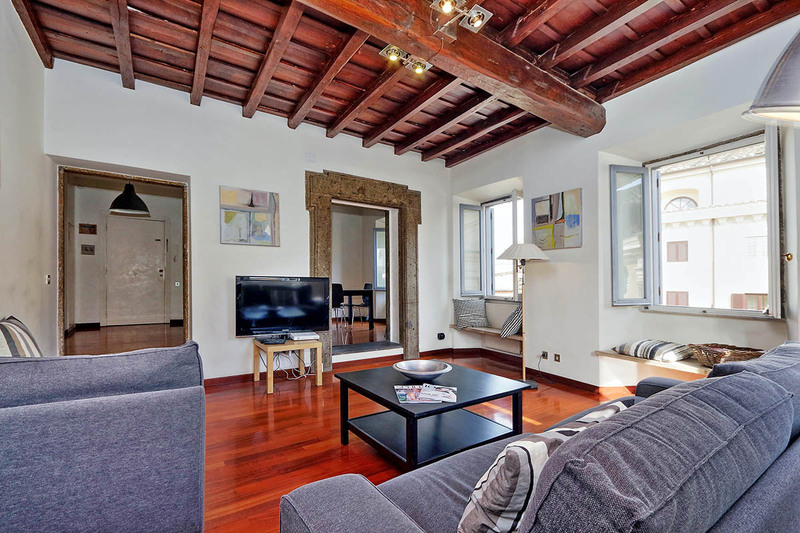 We are a family with two children, age 12 and 15 and chose an apartment with Rome Loft rather than a hotel, so we could have space to relax and get ourselves refreshments, when not exploring the sites of this beautiful city. The ...Read Moreapartment has a great modern kitchen, and although we only used it for getting breakfast, it has facilities to cook full dinners. The dining room has plenty of room for a family to sit and enjoy a meal and adjoining the dining room is a large and very comfortable living room. 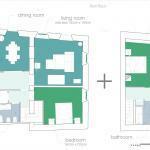 The apartment benefits from two large double bedrooms with two accompanying bathrooms, both with showers. There was plenty of hot water for all of us and the apartment was also incredibley warm. 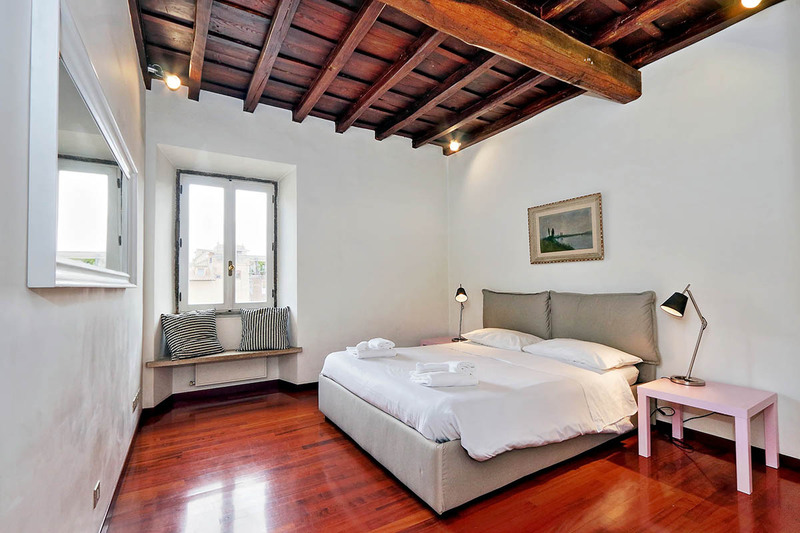 The apartment is on the 5th floor of a beautiful old convent and has many stunning original features. It has a lift for access and felt very safe and secure. It is in a great location just a minute away from the river and a convenience store where we bought all our essentials. We also organised our transfers to and from the airport via Romeloft and these were incredibly efficient. Our host was very accommodating of our early arrival. Check-in was easy and quick. Apartment was very clean and modern but in a charming building with neat architectural details, wooden beamed ceilings, stone door facings, pleasant and interesting views, good cross ventilation. The remodeled kitchen was quite nice and included modern appliances and...Read More plenty of dishes, silverware and cookware. We were on the top floor so appreciated the lift. Everything worked, no need to call management during our stay. Felt very secure and discovered that the building had been built on Roman ruins which we were shown when we dined at the restaurant downstairs. We arranged for their driver to take us to the airport at 4 in the morning. He was very prompt and nice and the price was very, very reasonable. Highly recommended. 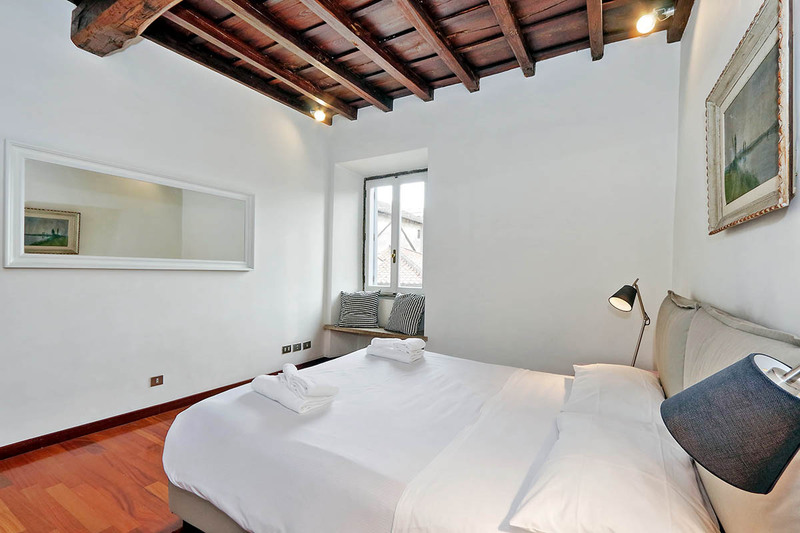 Rome Loft were exceptionally helpful from booking through to our departure. Any questions or problems were responded to very quickly and we always felt they were doing their best for us. The owner was also good in responding to things that needed owner approval. We had the apartment from early January to mid March. Honey, the meet and greet d...Read Moreriver was excellent and also very helpful. We used him a few times for to/from airport for our guests and everyone thought him great! He definately set the tone for our visit. The apartment is spacious, airy and full of light. The location is excellent for all Rome has to offer. 25 min walk to Vatican or Colosseum, 5 min to Campo di Fiori, 10 min to Pantheon - you get the picture. Also great for public transport. The hot water was sometimes a problem as it either ran cold in the middle of a shower, or took forever to get hot. Rome Loft sent someone out who fixed it, but after a while it reverted to the original problem. Again Rome Loft were quick to react. This may be a general Rome problem with water pressure? Although there is a lift/elevator it still leaves 12 steps up to the apartment door. If you have lots of luggage or need to avoid stairs just be aware. The apartment overall is very peaceful but the adjacent apartment sometimes played music very loud very late at night. The room playing the music shares a common wall with the main bedroom. (Please note that this loud apartment is NOT managed by Rome Loft). 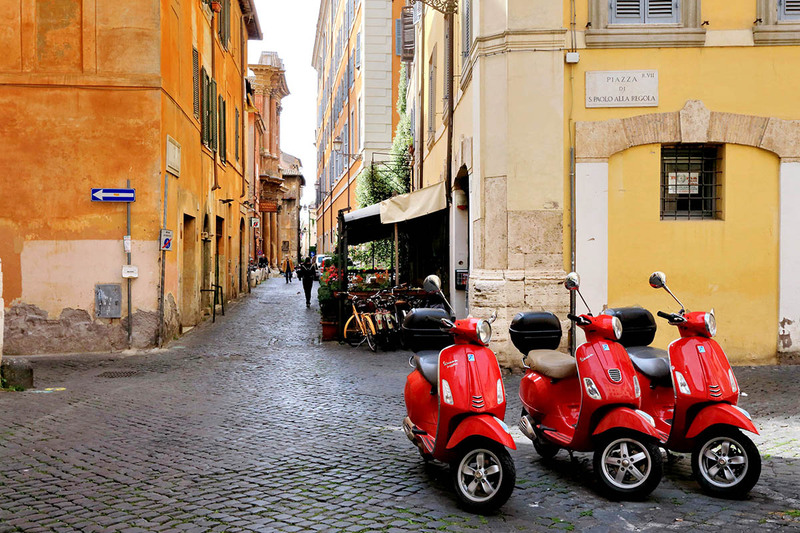 The outdoor streets can also be noisy late in the evening, particularly at weekends if you have open windows but you are in the centre of Rome! Taking everything into account this is a great apartment in a great location with a really good management company. Very nice location, airy comfortable appartment. Well equipped kitchen. Good tv. Quiet neighbourhood. Perfet with Campo de Fiore so close where you can buy fresh food every day. Hard IKEA matresses both in the double bed and in the two single beds. Too bad, because the bedrooms are very nice appart from this. Hot water comes and goes, we didn...Read More9;t have a single shower with just warm water. The upstairs bathroom is just ok, nothing more, Shower curtain and dim light. The downstairs bathroom is nice, a bit weary but clean. The staff who met us was ok, he didn't have much time, said the most important things. Did not appear very servideminded. They hadn't finished cleaning when we arrived which was a bit disappointing. But we had a lovely time in Rome, we were mostly out sigthseeinging. And the appartment is good value for the money! The apartment was great! I went with my 75 year old Father so the it was important to have an elevator. The area is perfect for exploring Rome and I went to the market in Campo De Fiori every morning. Lots of great restaurants within a 5 minute walk. We were met at the airport by the RomeLoft driver and driven to the apartment where we were met by ...Read MoreMr. Honey. He was terrific and did some grocery shopping for me as per my request and everything he purchased was great. We also had RomeLoft provide transportation back to the airport and they picked us up promptly at 6:00 am as promised. 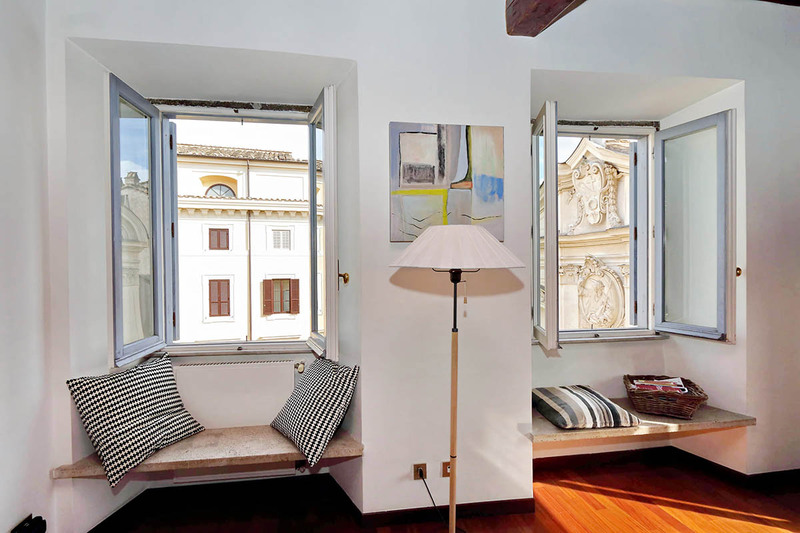 We had a great experience and highly recommend this apartment to anyone traveling to Rome! We stayed in the Farnese Elegant apartment for 8 days. The apartment is in a great location, we walked to all the sights from our front door. Some great restaurants just across the river. The apartment worked well for our family, there was plenty of space and a great view from our windows. We did email the agents about the washing machine being...Read More on its last legs but heard nothing. For future guests, the apartment needs some tea towels, more bath towels and a few more saucepans if you do wish to eat in. 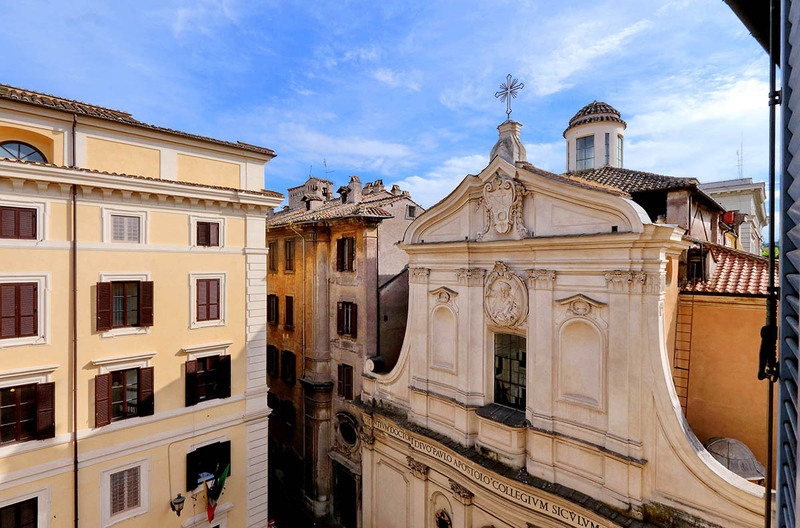 I would go back and I would recommend this apartment to anyone wishing to discover the beautiful city of Rome. Apt has everything. Location is excellent. Though we had no problem with the elevator, it was claustrophobic and smelled of mold...we avoided it as much as possible, which meant walking up 5 flights of stairs. That said it was a really great location, close to the campo di fiore square, but quiet. We could walk just about anywhere. It was great having Romelofts arrange for our pick up and ...Read Moredrop off at the airport. The apartment is a little basic but flooded with light with wonderful views and is in a very quiet picturesque part of the city. But the the best thing about this holiday was the team at Rome Lofts. We were unfortunately robbed on our last night and rang the company asking for help and advice. THREE !! of them came out immediately to our rescue a...Read Morend then stayed with us throughout the evening attending the interviews with the police to ensure we were ok. They all acted completely beyond the call of duty and were immensely kind. We were so touched and grateful. Instead of leaving Rome with a ruined holiday we were overwhelmed by the kindness we recieved. Lovely people and we cannot recommend them highly enough. We will be back next year ! 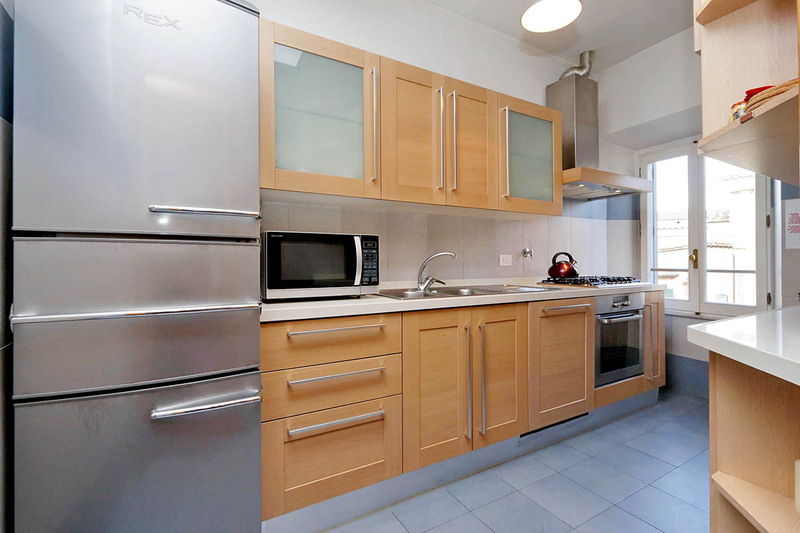 we stayed in this apartment in the neighbourhood of Campo de Fiori in may 2012.The apartment was perfect. We have visited everything by foot.Everything was perfectly arranged (taxi,key etc. 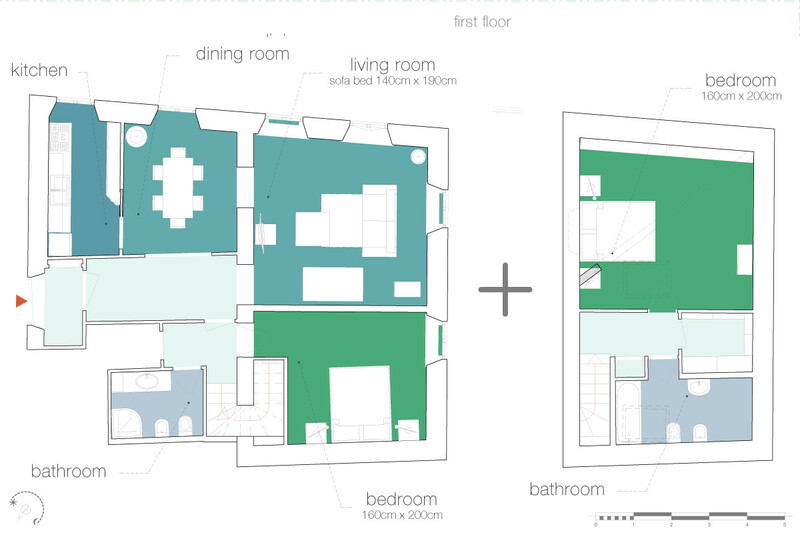 ).we will recomend this apartment in Belgium to all our friends. Thank you very much for helping us organise our holiday. We had a wonderful time in Rome and the apartment was perfect. 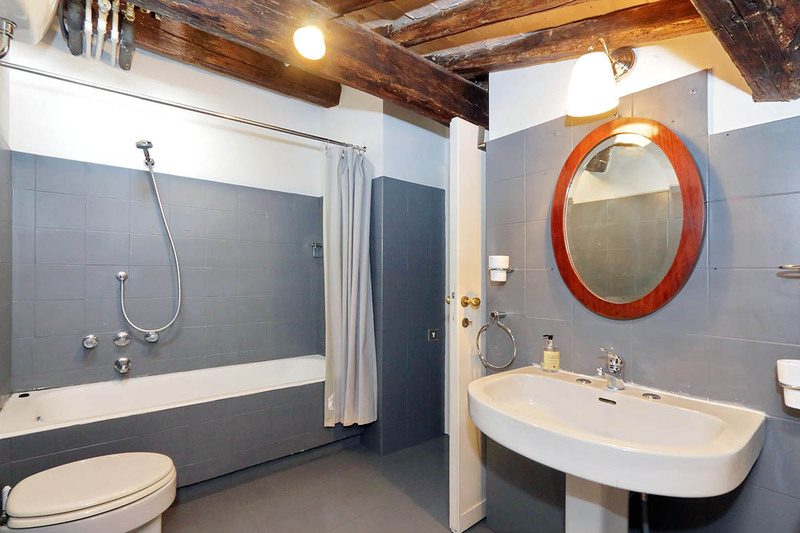 It was very comfortable and clean and it's situation could not have been better - we loved the area and it was so convenient for exploring the sites of Rome. 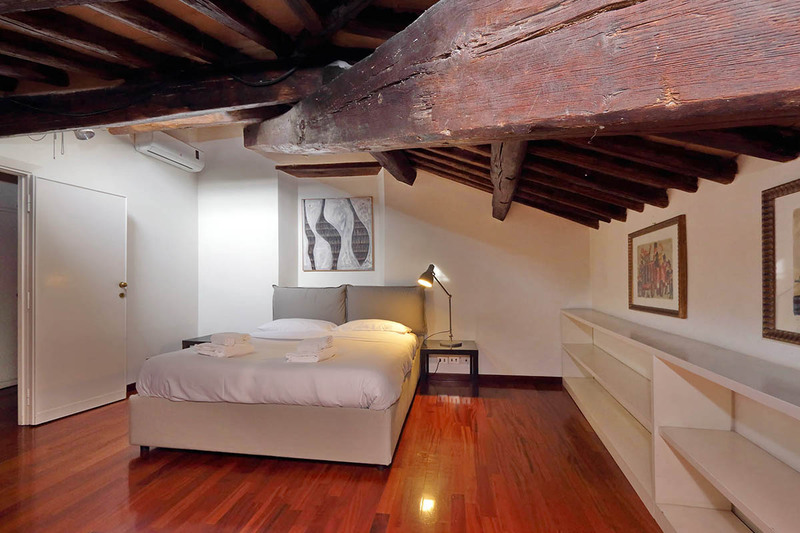 I would not hesitate to recommend Rome Loft and will certainly st...Read Moreay with them on our return!